KBismarck.com - Turrets "Anton" and "Bruno"
Photo 024 Turrets "Anton" and "Bruno". 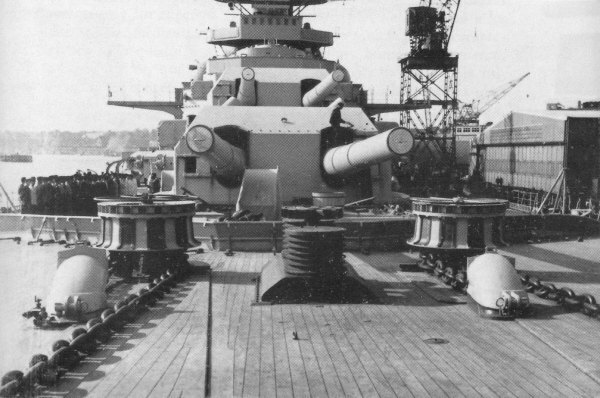 A view of the forward turrets "Anton" and "Bruno" from the forecastle in the summer of 1940. Note the chain cables and capstans.